There was some exciting news earlier this week, with Hyundai revealing that they are working on a new EV platform. This is big news when you consider that all eco-friendly models from the Koreans were so far built on the same platforms as their gas-powered counterparts. The new Hyundai dedicated EV architecture will be developed exclusively for electric vehicles only, which will allow the South Korean carmaker to grow their range beyond the Ioniq and Soul EV models. Benefits of a dedicated EV platform? One of the biggest benefits of a dedicated EV platform is the ability to place battery packs in the vehicle floor. With that design comes the opportunity to incorporate larger batteries, which mean longer ranges. The placement of the battery there also means more space for passengers and cargo. There is no denying that the EV segment is growing rapidly right now, and a dedicated platform means that Hyundai can start delivering more vehicles with longer ranges. The carmaker have not yet revealed the order of release of their future EV models, but we are sure that a midsize sedan and a compact SUV are on the horizon. The all electric Hyundai sedan will be built on this platform, and should come in at about the size of the ever-popular Sonata. The goal here would likely be to go up against the Tesla 3, a model that already has 400,000 pre-orders. Hyundai will once again have Tesla in their sights with the all electric SUV, with the Model Y from Tesla expected to arrive in 2019. 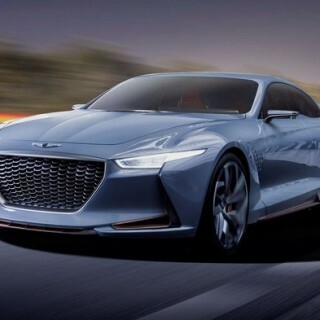 The Genesis luxury car brand will also be getting in on the EV action, if reports are to be believed. Word is that the Hyundai luxury brand will be delivering an all-electric sedan in the near future, with an SUV model to follow soon after. No official release dates have been announced, but it will likely be 2020 before the first of these models arrives. It’s going to be two years or slightly more more before the first Hyundai EV vehicles arrive on the new dedicated platform. Until that day arrives, Hyundai will continue to use their existing architecture. They have tweaked the existing hybrid car platform a little to allow for larger battery packs on compact models. Hyundai Ioniq EV: already on sale worldwide, the all electric Ioniq EV comes with a range of 110 miles, but it will get a larger battery next year, which could move that range closer to the 200-mile mark. Kia Niro EV: When the Niro EV arrives, it will likely use the updated battery found in the 2018 Ioniq electric vehicle, which will mean that we will see a range closer to 200 miles for this one. Hyundai Kona EV / Kia Stonic EV: These will be the latest compact SUV’s from the Korean sister companies, and word is that both will get an EV model at some point in 2018. You can expect the future electric vehicles from hyundai and Kia to be highly competitive. According to Mr. Lee Ki-sang, senior VP at Hyundai Motor Company, all upcoming compact and subcompact EV models would have a range exceeding 186 miles per charge, making them much more competitive with their biggest rivals.